Beach Boys in Montreal or Quebec City? Inform me about the next events for Beach Boys. Enroll yourself to our priority waiting list for Beach Boys to be alerted when new tickets are available. Filling this form doesn't engage you to any purchase. 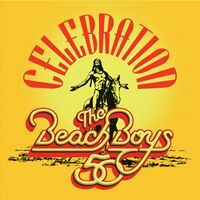 The Beach Boys have reunited and they're coming to Montreal on June 20th, 2012, for their first show ever at the Bell Centre! Brace yourself, Beach Boys fans, for this will be the first tour featuring original singer and brain behind the music Brian Wilson and his bandmates from the good old days Mike Love, Al Jardine, Bruce Johnston and David Marks! The reunited group is celebrating its 50th anniversary with a tour that's stopping by Montreal. Don't miss it!